The United States Air Force (abbreviated USAF stylised as U.S.A.F.) is the aerial warfare service branch of the United States Armed Forces and one of the seven American uniformed services. Initially part of the United States Army, the USAF was formed as a separate branch of the military on 18 September 1947 under the National Security Act of 1947. It is the most recent branch of the U.S. military to be formed, and is the largest and one of the world's most technologically advanced air forces. The USAF articulates its core functions as Nuclear Deterrence Operations, Special Operations, Air Superiority, Global Integrated ISR, Space Superiority, Command and Control, Cyberspace Superiority, Personnel Recovery, Global Precision Attack, Building Partnerships, Rapid Global Mobility and Agile Combat Support. 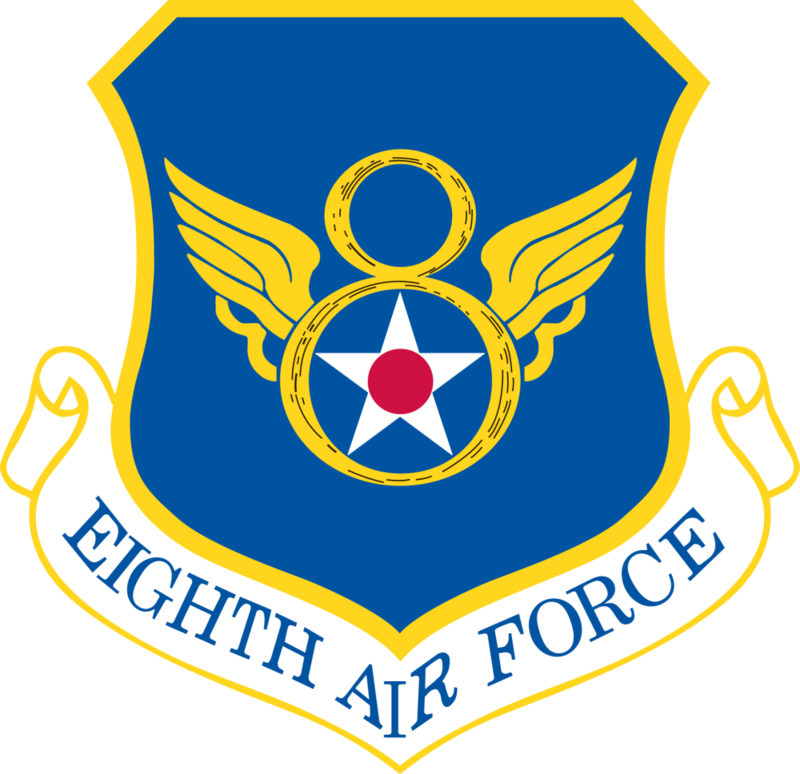 The U.S. Air Force is a military service within the Department of the Air Force, one of the three military departments of the Department of Defense. The USAF is headed by the civilian Secretary of the Air Force, who is appointed by the President with the advice and consent of the Senate. The highest-ranking military officer in the Department of the Air Force is the Chief of Staff of the Air Force who exercises supervision over Air Force units, and serves as a member of the Joint Chiefs of Staff. Air Force combat forces are assigned, as directed by the Secretary of Defense, to the Combatant Commanders, and neither the Secretary of the Air Force nor the Chief of Staff have operational command authority over them. The U.S. Air Force provides air support to ground troops and aids in the recovery of troops in the field. As of 2015[update], the service operates 5,484 aircraft, 450 ICBMs and 63 satellites. It has a $140 billion budget with 332,854 active personnel, 185,522 civilian personnel, 71,400 reserve personnel, and 106,700 air guard personnel. Recently the Air Force refined its understanding of the core duties and responsibilities it performs as a Military Service Branch, streamlining what previously were six distinctive capabilities and seventeen operational functions into twelve core functions to be used across the doctrine, organization, training, equipment, leadership, and education, personnel, and facilities spectrum. These core functions express the ways in which the Air Force is particularly and appropriately suited to contribute to national security, but they do not necessarily express every aspect of what the Air Force contributes to the nation. It should be emphasized that the core functions, by themselves, are not doctrinal constructs. Nuclear strike is the ability of nuclear forces to rapidly and accurately strike targets which the enemy holds dear in a devastating manner. If a crisis occurs, rapid generation and, if necessary, deployment of nuclear strike capabilities will demonstrate US resolve and may prompt an adversary to alter the course of action deemed threatening to our national interest. Should deterrence fail, the President may authorize a precise, tailored response to terminate the conflict at the lowest possible level and lead to a rapid cessation of hostilities. Post-conflict, regeneration of a credible nuclear deterrent capability will deter further aggression. The Air Force may present a credible force posture in either the continental US, within a theater of operations, or both to effectively deter the range of potential adversaries envisioned in the 21st century. This requires the ability to engage targets globally using a variety of methods; therefore, the Air Force should possess the ability to induct, train, assign, educate and exercise individuals and units to rapidly and effectively execute missions that support US NDO objectives. Finally, the Air Force regularly exercises and evaluates all aspects of nuclear operations to ensure high levels of performance. Air Interdiction is defined as "air operations conducted to divert, disrupt, delay, or destroy the enemy's military potential before it can be brought to bear effectively against friendly forces, or to otherwise achieve JFC objectives. Air lnterdiction is conducted at such distance from friendly forces that detailed integration of each air mission with the fire and movement of friendly forces is not required" (AFDD 3-03, Counterland Operations). Personnel Recovery (PR) is defined as "the sum of military, diplomatic, and civil efforts to prepare for and execute the recovery and reintegration of isolated personnel" (JP 1-02). It is the ability of the US government and its international partners to effect the recovery of isolated personnel across the ROMO and return those personnel to duty. PR also enhances the development of an effective, global capacity to protect and recover isolated personnel wherever they are placed at risk; deny an adversary‘s ability to exploit a nation through propaganda; and develop joint, interagency, and international capabilities that contribute to crisis response and regional stability. Shape refers to conducting activities to affect the perceptions, will, behavior, and capabilities of partners, military forces, and relevant populations to further US national security or shared global security interests. The War Department created the first antecedent of the Air Force in 1907, which through a succession of changes of organization, titles, and missions advanced toward eventual separation 40 years later. In World War II, almost 68,000 U.S airmen died helping to win the war; only the infantry suffered more enlisted casualties. In practice, the USAAF was virtually independent of the Army during World War II, but officials wanted formal independence. The USAF became a separate military service on 18 September 1947, with the implementation of the National Security Act of 1947. The Act created the National Military Establishment (renamed Department of Defense in 1949), which was composed of three subordinate Military Departments, namely the Department of the Army, the Department of the Navy, and a newly created Department of the Air Force. Prior to 1947, the responsibility for military aviation was shared between the Army (for land-based operations), the Navy (for sea-based operations from aircraft carriers and amphibious aircraft), and the Marine Corps (for close air support of infantry operations). The 1940s proved to be important in other ways as well. In 1947, Captain Chuck Yeager broke the sound barrier in his X-1 rocket powered aircraft, beginning a new era of aeronautics in America. On 5 June 2008, Secretary of Defense Robert Gates, accepted the resignations of both the Secretary of the Air Force, Michael Wynne, and the Chief of Staff of the United States Air Force, Gen. T. Michael Moseley. Gates in effect fired both men for "systemic issues associated with declining Air Force nuclear mission focus and performance." This followed an investigation into two embarrassing incidents involving mishandling of nuclear weapons: specifically 2007 United States Air Force nuclear weapons incident and an accidental shipment of nuclear weapons components to Taiwan. The resignations were also the culmination of disputes between the Air Force leadership and Gates. To put more emphasis on nuclear assets, the USAF established the nuclear-focused Air Force Global Strike Command on 24 October 2008. 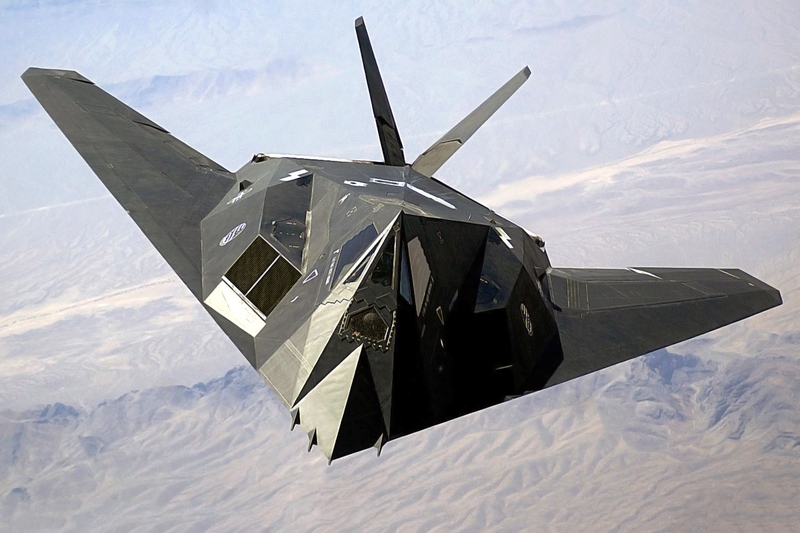 During the early 2000s, the USAF fumbled several high profile aircraft procurement projects, such as the failure to make the case for the Next-Generation Bomber, the failure to control costs on the Lockheed Martin F-22 Raptor and the missteps on the KC-X program. Winslow Wheeler has written that this pattern represents "failures of intellect and – much more importantly – ethics." As a result the USAF fleet is setting new records for average aircraft age and needs to replace its fleets of fighters, bombers, airborne tankers, and airborne warning aircraft, in an age of restrictive defense budgets. Finally in the midst of scandal and failure in maintaining its nuclear arsenal, the civilian and military leaders of the air force were replaced in 2008. In 2011, the Air Force disallowed the wear of Friday Name Tags[Clarification needed] per the new dress and appearance standards. This has been a tradition regarding call signs that dates to WWI. The budget sequestration of 2013 is claimed to have austere budget shortfalls in store for the armed forces, including the Air Force. Specific concerns include a compounded inability for the Air Force to replace its aging fleet, and an overall reduction of strength and readiness. The USAF attempted to make these adjustments by cutting guard and reserve fleets, but Congress reversed this and the majority of the lost manpower will come from the active forces. However Congress did allow for $208 million of reprogramming from fleet modernization to enable some portion of the third of the grounded fleet to resume operations. Due to the Budget sequestration in 2013, the USAF was forced to ground many of its squadrons. Air Combat Commander Hostage has indicated that the USAF must reduce its F-15 and F-16 fleets and eliminate platforms like the A-10 in order to focus on a fifth-generation jet fighter future. Air Force pilots have responded by switching to commercial airlines where they can find flight hours on more modern aircraft. Senior Airman Nayibe Ramos runs through a checklist during Global Positioning System satellite operations. The operations center here controls a constellation of 29 orbiting satellites that provides navigation data to military and civilian users worldwide. Airman Ramos is a satellite system operator for the 2d Space Operations Squadron at Schriever AFB, Colorado. The classification of any USAF job is the Air Force Specialty Code (AFSC). They range from flight combat operations such as a gunner, to working in a dining facility to ensure that members are properly fed. There are many different jobs in fields such as computer specialties, mechanic specialties, enlisted aircrew, communication systems, cyberspace operations, avionics technicians, medical specialties, civil engineering, public affairs, hospitality, law, drug counseling, mail operations, security forces, and search and rescue specialties. Nearly all enlisted jobs are "entry level", meaning that the USAF provides all training. Some enlistees are able to choose a particular job, or at least a field before actually joining, while others are assigned an AFSC at Basic Military Training (BMT). After BMT, new airmen attend a technical training school where they learn their particular AFSC. 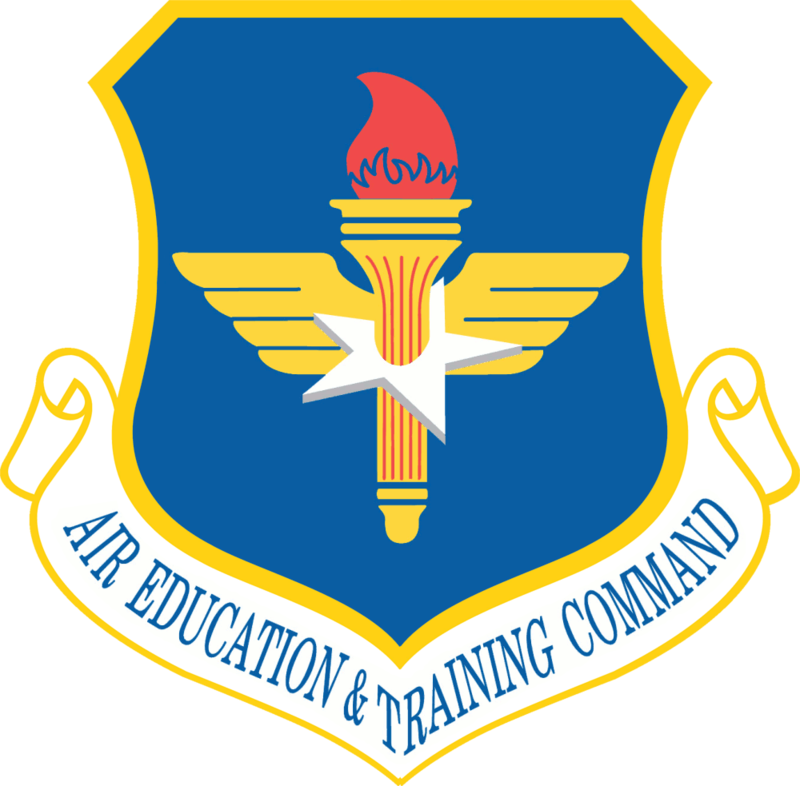 Second Air Force, a part of Air Education and Training Command, is responsible for nearly all technical training. The commissioned officer ranks of the USAF are divided into three categories: company grade, field grade, and general officers. Company grade officers are those officers in pay grades O-1 to O-3, while field grade officers are those in pay grades O-4 to O-6, and general officers are those in pay grades of O-7 and above. Air Force officer promotions are governed by the Defense Officer Personnel Management Act of 1980. DOPMA also establishes limits on the number of officers that can serve at any given time in the Air Force. Currently, promotion from Second Lieutenant to First Lieutenant is virtually guaranteed after two years of satisfactory service. The promotion from First Lieutenant to Captain is competitive after successfully completing another two years of service, with a selection rate varying between 99% and 100%. Promotion to Major through Major General is through a board process, while promotions to Lieutenant General and General are contingent upon nomination to specific general officer positions and subject to U.S. Senate approval. During the board process an officer's record is reviewed by a selection board at the Air Force Personnel Center at Randolph Air Force Base in San Antonio, Texas. At the eight year mark Captains will take part in a selection board to Major. If not, selected, they will meet a follow-on board to determine if they will be allowed to remain in the Air Force. Promotion from Major to Lieutenant Colonel is similar and occurs approximately between the eleven- and fifteen-year mark, where a certain percentage of Majors will be selected below zone (i.e., "early"), in zone (i.e., "on time") or above zone (i.e., "late") for promotion to Lieutenant Colonel. This process will repeat at the 16–21-year mark for promotion to Colonel. The Air Force has the largest ratio of general officers to total strength of all of the U.S, armed forces and this ratio has continued to increase even as the force has shrunk from its Cold War highs. 1 Awarded during periods of a declared war. Although provision is made in Title 10 of the United States Code for the Secretary of the Air Force to appoint warrant officers, the Air Force does not currently use warrant officer grades, and is the only one of the U.S. Armed Services not to do so. The Air Force inherited warrant officer ranks from the Army at its inception in 1947, but their place in the Air Force structure was never made clear. When the Congress authorized the creation of two new senior enlisted ranks in 1958, Air Force officials privately concluded that these two new "super grades" could fill all Air Force needs then performed at the warrant officer level, although this was not publicly acknowledged until years later. 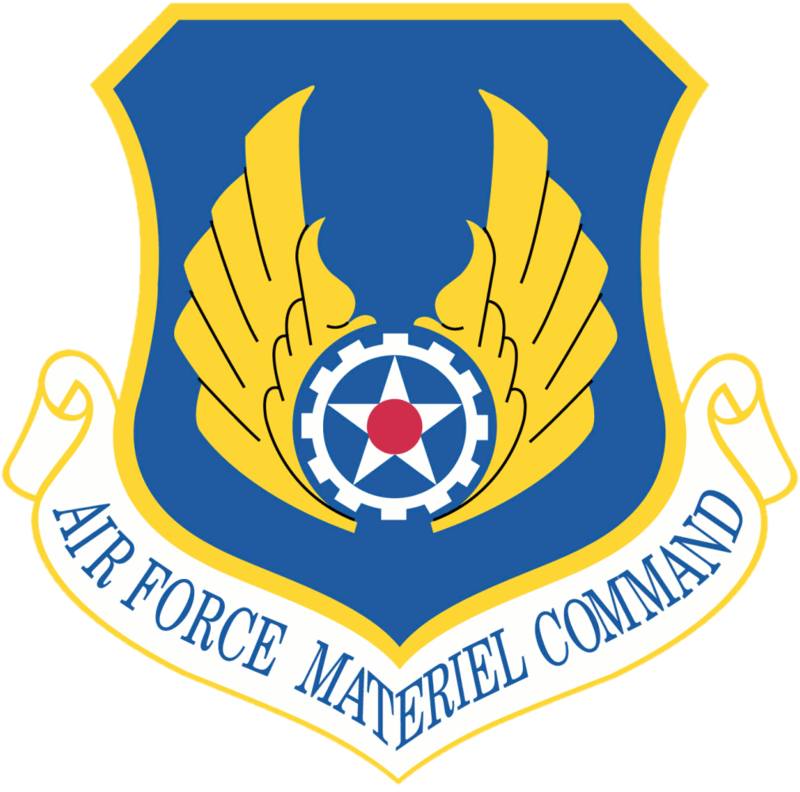 The Air Force stopped appointing warrant officers in 1959, the same year the first promotions were made to the new top enlisted grade, Chief Master Sergeant. Most of the existing Air Force warrant officers entered the commissioned officer ranks during the 1960s, but tiny numbers continued to exist for the next 21 years. The USAF is the only branch of the U.S. military where NCO status is achieved when an airman reaches the pay grade of E-5. In all other branches, NCO status is generally achieved at the pay grade of E-4 (e.g., a Corporal in the Army and Marine Corps, Petty Officer Third Class in the Navy and Coast Guard). The Air Force mirrored the Army from 1976 to 1991 with an E-4 being either a Senior Airman wearing three stripes without a star or a Sergeant (referred to as "Buck Sergeant"), which was noted by the presence of the central star and considered an NCO. Despite not being an NCO, a Senior Airman who has completed Airman Leadership School can be a supervisor. In addition to basic uniform clothing, various badges are used by the USAF to indicate a job assignment or qualification-level for a given assignment. Badges can also be used as merit-based or service-based awards. Over time, various badges have been discontinued and are no longer distributed. 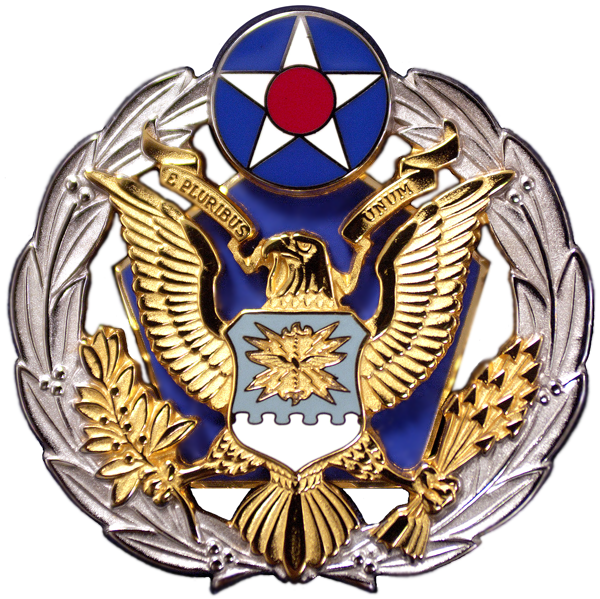 Authorized badges include the Shields of USAF Fire Protection, and Security Forces, and the Missile Badge (or "pocket rocket"), which is earned after working in a missile system maintenance or operations capacity for at least one year. All non-prior service enlisted Airmen attend Basic Military Training (BMT) at Lackland Air Force Base in San Antonio, Texas for 8 1/2 weeks. The Air Force accepts the basic-training programs of other U.S. military branches in lieu of BMT for airmen who enlist having completed prior service in the U.S. Army, Navy, or Marine Corps. The US Air Force Fitness Test (AFFT) is designed to test the abdominal circumference, muscular strength/endurance and cardiovascular respiratory fitness of airmen in the USAF. As part of the Fit to Fight program, the USAF adopted a more stringent physical fitness assessment; the new fitness program was put into effect on 1 June 2010. The annual ergo-cycle test which the USAF had used for several years had been replaced in 2004. In the AFFT, Airmen are given a score based on performance consisting of four components: waist circumference, the sit-up, the push-up, and a 1.5-mile (2.4 km) run. Airmen can potentially earn a score of 100, with the run counting as 60%, waist circumference as 20%, and both strength test counting as 10% each. A passing score is 75 points. Effective 1 July 2010, the AFFT is administered by the base Fitness Assessment Cell (FAC), and is required twice a year. Personnel may test once a year if he or she earns a score above a 90%. Additionally, only meeting the minimum standards on each one of these test will not get you a passing score of 75%, and failing any one component will result in a failure for the entire test. In the US Air Force, the distinction between bombers, fighter-bombers, and attack aircraft has become blurred. Many attack aircraft, even ones that look like fighters, are optimized to drop bombs, with very little ability to engage in aerial combat. Many fighter aircraft, such as the F-16, are often used as 'bomb trucks', despite being designed for aerial combat. Perhaps the one meaningful distinction at present is the question of range: a bomber is generally a long-range aircraft capable of striking targets deep within enemy territory, whereas fighter bombers and attack aircraft are limited to 'theater' missions in and around the immediate area of battlefield combat. Even that distinction is muddied by the availability of aerial refueling, which greatly increases the potential radius of combat operations. The US, Russia, and the People's Republic of China operate strategic bombers. The B-52 Stratofortress airframe is over 60 years old, and are scheduled to remain in service for another 30 years, which would keep the airframe in service for nearly 90 years, an unprecedented length of service for any aircraft. Plans for successors to the current strategic bomber force remain only paper projects, and political and funding pressures suggest that they are likely to remain paper-bound for the foreseeable future. The fighter aircraft of the USAF are small, fast, and maneuverable military aircraft primarily used for air-to-air combat. Many of these fighters have secondary ground-attack capabilities, and some are dual-roled as fighter-bombers (e.g., the F-16 Fighting Falcon); the term "fighter" is also sometimes used colloquially for dedicated ground-attack aircraft. Other missions include interception of bombers and other fighters, reconnaissance, and patrol. The USAF has 2,025 fighters in service as of September 2012. These aircraft are used for search and rescue and combat search and rescue on land or sea. The USAF's aerial refueling aircraft are derivatives of civilian jets. The USAF aircraft are equipped primarily for providing the fuel via a tail-mounted refueling boom, and can be equipped with "probe and drogue" refueling systems. Air-to-air refueling is extensively used in large-scale operations and also used in normal operations; fighters, bombers, and cargo aircraft rely heavily on the lesser-known "tanker" aircraft. This makes these aircraft an essential part of the Air Force's global mobility and the U.S. force projection. 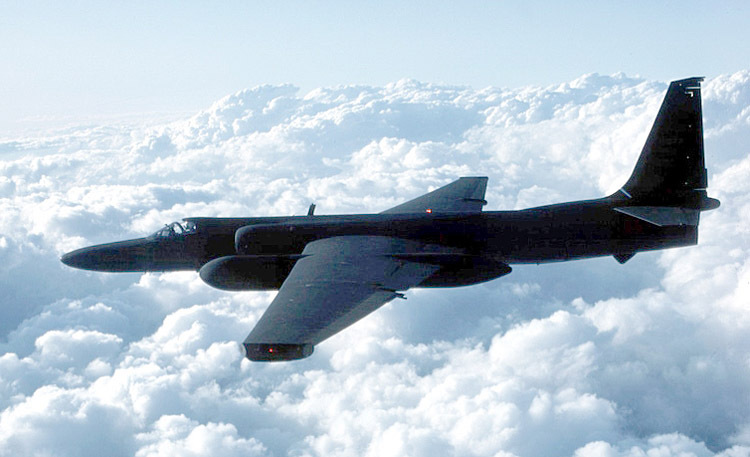 The reconnaissance aircraft of the USAF are used for monitoring enemy activity, originally carrying no armament. Several gliders have been employed by the USAF. Primarily used for flying training at the Air Force Academy. In response to the 2007 United States Air Force nuclear weapons incident, Secretary of Defense Robert Gates accepted in June 2009 the resignations of Secretary of the Air Force Michael Wynne and the Chief of Staff of the Air Force General T. Michael Moseley. Moseley's successor, General Norton A. Schwartz, was the first officer appointed to that position who did not have a background as a fighter or bomber pilot. The Washington Post reported in 2010 that General Schwartz began to dismantle the rigid class system of the USAF. In 2014 new SoAF Deborah Lee James admitted that there remained a "systemic problem" in the USAF's management of the nuclear mission. Cultural and career issues in the U.S. Air Force have been cited as reasons for a shortfall in needed drone operators. The "roof stomp" is a cultural tradition practiced by Air Force members to welcome a new commanding officer or commemorate another event, such as a retirement. ↑ "Aim High ... Fly-Fight-Win to be Air Force motto USAF". United States Air Force. 7 October 2010. Archived from the original on 19 July 2012. http://archive.is/Kaa1. Retrieved 19 October 2010. ↑ "The Air Force Flag". Air Force Historical Research Agency. United States Air Force. 24 March 2007. http://www.jbsa.af.mil/shared/media/document/AFD-070324-002.pdf. Retrieved 27 March 2009. ↑ United States Air Force (September 2009). "The U.S. Air Force". United States Air Force website. Washington, DC: U.S. Air Force. http://www.af.mil/information/factsheets/factsheet.asp?id=2. Retrieved 27 September 2009. ↑ "10 USC 8062". Law.cornell.edu. 1 October 2009. http://www.law.cornell.edu/uscode/html/uscode10/usc_sec_10_00008062----000-.html. Retrieved 30 August 2010. ↑ 8.0 8.1 Air Force Welcome Page (2011). . Retrieved 28 December 2011. ↑ U.S. Intelligence Community (October 2004). National Security Act of 1947. Retrieved 14 April 2006. ↑ Wildsmith, Snow (2012). Joining the United States Air Force. US: McFarland. p. 56. ISBN 978-0-7864-4758-9. http://www.mcfarlandbooks.com/book-2.php?id=978-0-7864-4758-9. ↑ 14.0 14.1 Needed: 200 New Aircraft a Year, Air Force Magazine, October 2008. ↑ This story was written by Maj. Timothy Farr. "Airmen's time tour makes follow-up visits". Af.mil. Archived from the original on 18 July 2012. http://archive.is/MLO7. Retrieved 30 August 2010. ↑ "Plan reshapes U.S. air power". Airforcetimes.com. http://www.airforcetimes.com/news/2009/07/airforce_realignment_070609w/. Retrieved 30 August 2010. ↑ This story was written by Gerry J. Gilmore. "Unmanned aircraft take on increased importance". Af.mil. Archived from the original on 29 July 2012. http://archive.is/eHUb. Retrieved 30 August 2010. ↑ 7 October 2009— (7 October 2009). "Future U.S. Defense Needs in a High Technology Present – Up Front Blog – Brookings Institution". Brookings.edu. http://www.brookings.edu/opinions/2009/1007_defense_prioirties_chat.aspx. Retrieved 30 August 2010. 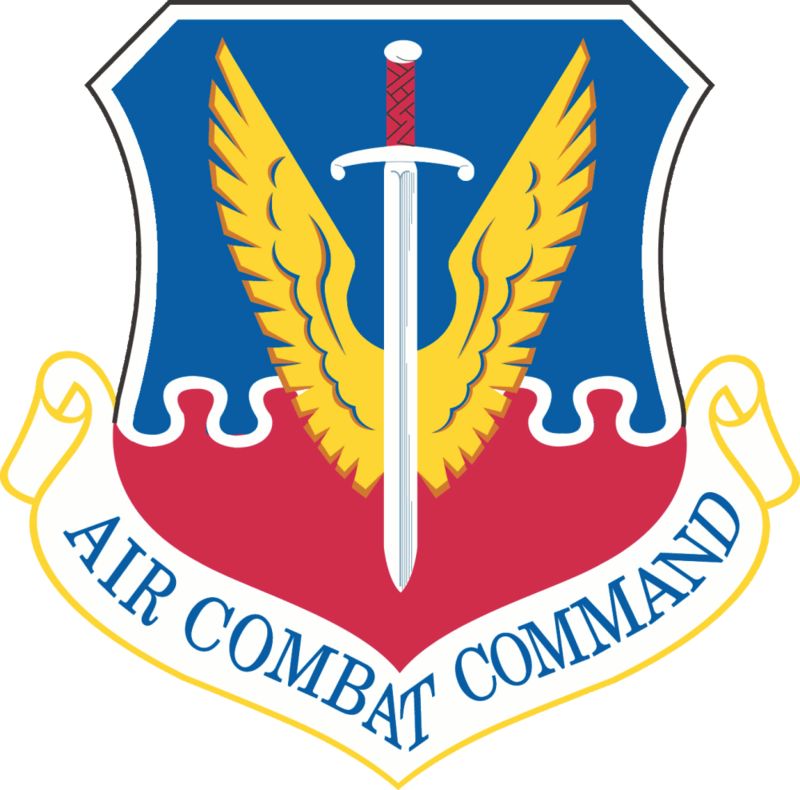 ↑ "Air Force Personnel Center – dress". Afpc.af.mil. http://www.afpc.af.mil/dress/index.asp. Retrieved 8 August 2011. ↑ Olds, Robin (2010). Fighter Pilot. New York: St Martin's Press. ↑ "Air Force’s aging fleet gets no relief from budget cuts." ↑ Ignatius, David (1 July 2013). "Politics tops public interest". HeraldTribune. http://www.heraldtribune.com/article/20130701/ARCHIVES/307011004?Title=Politics-tops-public-interest. Retrieved 14 July 2013. ↑ "AF lifts grounding of combat squadrons, Thunderbirds." ↑ 31.0 31.1 "Air Force Pamphlet 36-2241"[dead link]. USAF, 1 July 2007. ↑ "USAF to help transport French troops to Mali." ↑ Tegler, Eric (28 October 2013). "ACC Gen. Mike Hostage Says Recapitalization Is Best of Bad Options". Defense Media Network. http://www.defensemedianetwork.com/stories/acc-gen-mike-hostage-says-recapitalization-is-best-of-bad-options/. Retrieved 28 October 2013. ↑ Shoop, Tom (November 14, 2013). "Fanning: Air Force Having Trouble Keeping Pilots, and Pay Isn’t the Problem". National Journal Group, Inc.. http://www.defenseone.com/ideas/2013/11/fanning-air-force-having-trouble-keeping-pilots-and-pay-isnt-problem/73811/. Retrieved 15 January 2014. ↑ "2007 USAF Almanac: Major Commands" (PDF). AIR FORCE Magazine. Archived from the original on 16 February 2008. http://web.archive.org/web/20080216020100/http://www.afa.org/magazine/may2007/0507majcoms.pdf. Retrieved 9 February 2008. ↑ "2007 USAF Almanac: USAF Squadrons By Mission Type" (PDF). AIR FORCE Magazine. Archived from the original on 1 December 2007. http://web.archive.org/web/20071201002047/http://www.afa.org/magazine/may2007/0507structure.pdf. Retrieved 9 February 2008. ↑  Air Force Specialty Code Information, United States Air Force, July 2008. ↑ 40.0 40.1 "Warrant Officer Programs of Other Services". United States Army Warrant Officer Association. http://www.usawoa.org/woheritage//WO_Prog_Other_Svc.htm. Retrieved 18 March 2007. ↑ "Warrant Officers of the US Military". Militaryranks.us. 16 November 2006. http://www.militaryranks.us/us-military-warrant-officer.htm. Retrieved 30 August 2010. ↑ Air National Guard Retired Fire Chiefs. [dead link]=9&tx_ttnews[backPid]=10&cHash=b341eff1cf "CWO4 Bob Barrow". Retrieved 27 January 2009. ↑ "Department of Defense Enlisted Rank Insignias". Defenselink.mil. http://www.defenselink.mil/specials/insignias/enlisted.html. Retrieved 30 August 2010. ↑ "Getting the Blues, by Tech. Sgt. Pat McKenna". Air Force Link. Archived from the original on 2 February 2007. http://web.archive.org/web/20070202154555/http://www.af.mil/news/airman/1296/duds.htm. Retrieved 24 September 2007. ↑ 46.0 46.1 "USAF Almanac, The Air Force in Facts and Figures". Air Force Magazine. May 2013. http://www.airforcemag.com/MagazineArchive/Magazine%20Documents/2013/May%202013/0513facts_figures.pdf. Retrieved 2 August 2013. ↑ "Photos: Airtech CN-235 Aircraft Pictures". Airliners.net. 23 December 2004. http://www.airliners.net/open.file/775218/L/. Retrieved 30 August 2010. ↑ "Air Force Culture and Conventional Strategic Airpower". Stormingmedia.us. http://www.stormingmedia.us/01/0155/A015524.html. Retrieved 30 August 2010. ↑ Thompson, Mark (8 July 2013). "The Air Force’s Future May Be in Drones, But Its Generals Won’t Be". Time Inc.. http://nation.time.com/2013/07/08/the-air-forces-future-may-be-in-drones-but-its-generals-wont-be/. Retrieved 8 July 2013. ↑ Worden, Michael (November 1997). "The Rise of the Fighter Generals". Air University Press. http://www.dtic.mil/cgi-bin/GetTRDoc?AD=ADA338755. Retrieved 12 March 2014. ↑ Barnes, Julian E.; Spiegel, Peter (10 June 2008). "A different type of Air Force leader". Los Angeles Times. http://articles.latimes.com/p/2008/jun/10/nation/na-schwartz10. Retrieved 30 August 2010. ↑ Post Store (27 February 2010). "Combat Generation: Drone operators climb on winds of change in the Air Force". The Washington Post. http://www.washingtonpost.com/wp-dyn/content/article/2010/02/27/AR2010022703754_2.html. Retrieved 30 August 2010. ↑ Everstine, Brian (29 January 2014). "James: AF is addressing 'systemic' problem in nuclear force". Gannett Government Media. http://www.airforcetimes.com/article/20140129/NEWS/301290017/James-AF-addressing-systemic-problem-nuclear-force. Retrieved 29 January 2014. ↑ "Understanding Airmen: A primer for soldiers" (PDF). http://usacac.army.mil/CAC2/MilitaryReview/Archives/English/MilitaryReview_20071031_art019.pdf. Retrieved 13 December 2011. ↑ "US Air Force Lacks Volunteers To Operate Drones." ↑ ""Do Something Amazing" web site". Dosomethingamazing.com. http://www.dosomethingamazing.com/. Retrieved 30 August 2010. ↑ "Aim High ... Fly-Fight-Win". Archived from the original on 16 July 2012. http://archive.is/N9bt. Retrieved 1 November 2010. Introduction to retirement (approximate). Table only reflects USAF usage, not Air National Guard usage.